The inaugural KAABOO Texas music festival is scheduled for May 10-12 at AT&T Stadium in Arlington, Texas. With more than 100 entertainment acts, 16 comedians, 11 DJs, artists and chefs, the event’s organizers are billing it as an “adult escape” and “multi-sensory festival event”. The music lineup will compete with the biggest festivals around (see below). The multi-stage event will take place both inside and outdoors of AT&T Stadium with a number of “bucket list” bands including: The Killers, Lionel Richie, Skynyrd, The Black Eyed Peas, Bush, Joan Jett, Garbage, The Avett Brothers, Lauryn Hill, Counting Crows, B-52s, Violent Femmes, Alanis Morissette and more. 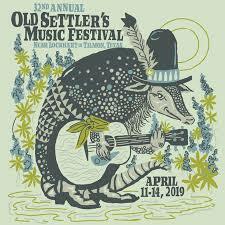 Local bands- There are a number of great Texas bands in the lineup- we are excited to see Israel Nash (Austin), Lukas Nelson (Austin), Los Lonely Boys (Austin), Old 97’s (Dallas), and Blue October (Austin). Nelson, son of Willie, has really come into his own the last couple years and is a must-see set. KAABOO’s Humor Me comedy stage is led by Saturday Night Live alum Dennis Miller, Everybody Loves Raymond’s Brad Garrett and stand-ups Demetri Martin and Garfunkel and Oates. BASK, KAABOO’s on-site Las Vegas-style pool club will feature sets by Chromeo, Le Youth and Paul Oakenfold. See our Sting photos from his last tour stop in Austin. KAABOO offers a variety of ticket options from Lone Star General Admission 3-Day pass at $199.00 to the Ultimate Hang pass at $20,000.00 which includes: access to front row viewing areas and KAABOO artist lounge, exclusive meet & greet opportunities, unlimited complimentary beverages, gourmet meals curated by private chef and much more. Get more info.